An Argyle TX fabricator, Brad Fenley called requesting a 6 foot long (FB6) Gas Saver System (GSS) shipped overnight. He had a job to complete for a customer and was getting weld start porosity on most parts. He had adjusted all welding parameters including gas flow rate without improvement. He could hear the shielding gas surge at the weld start and found our web site that discusses how porosity can be caused by the “Blast of Gas” pulling in air. He uses a good MIG Spray Arc gas mix, 2% oxygen/98% Argon welding a carbon steel tube to a base. "The GSS reduced the porosity problems previously encountered in several production cells." "Everything worked fine. And my weld starts have definitely improved since installing the GSS. Thanks again." See details of the splice fitting we supplied for his Hobart Handler welder. 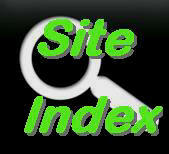 "Glad I found your website, I understood the theory, though in practice I understand it much better. I can't believe it. I'd never have thought a hose could make that much of a difference. I had a small job that had been waiting for a while. The weld quality is considerable better. Almost no splatter! I realized that the gas I'm buying is actually working the way it's supposed to. CLICK TO SEE more details and what Al said about the leather cable cover he also purchased! Our patented Gas Saver System (GSS) provides better weld start quality by eliminating the excess "GAS BLAST" at each weld start. 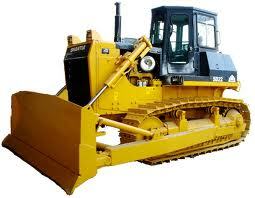 It can also cut gas use in half by eliminating shielding gas waste. Many thousands are in use. At Each Weld Start a blast of shielding gas exits the MIG gun nozzle at very high flow rates with typical gas delivery systems. We have measured peak flow surge rates exceeding 200 CFH. Peak flow is well above the rate that creates turbulence in the shielding gas stream. This turbulence pulls moisture laden air into the gas stream creating poor shielding. 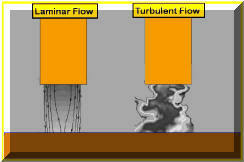 The turbulence takes a short time to stabilize even after the flow returns to the preset level. This creates excess spatter and often internal, if not external weld porosity. The ideal starting gas flow control is shown by the graph labeled GSS. This limits the excess gas surge volume and peak flow rate while still providing extra gas needed to purge the MIG gun nozzle and weld start area. 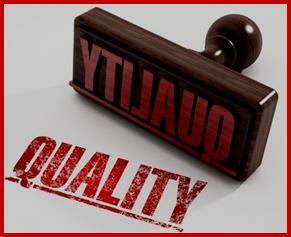 In Addition, Welders Often Set excess shielding gas flow rates believing "if some is good more must be better." Just how much gas flow is excess? A recent article published in Practical Welding Today by Kevin Lyttle, Manager Welding R&D for Praxair states; “In many instances production site surveys determine that shielding gas flow rates typically are set in excess of 50 CFH. This can contribute to poor weld quality as atmospheric gases are drawn into the arc zone because of excess gas turbulence. Optimized flow enhances quality and reduces shielding gas usage.” Other technical articles confirm this 50 CFH maximum level for a 5/8 inch ID MIG gun nozzle size which is typically used for industrial welding. If Excess Gas Flow Is Such Is A Problem, Why Has My Gas Supplier Not Told Me? CLICK To SEE ANSWER. With solid steel MIG wires, some Oxygen can be tolerated. The silicon and manganese contained in the wire can combine with the Oxygen to form silicon and manganese oxide and avoid the carbon in the weld puddle forming a CO bubble. These oxides float to the weld surface. However published information indicates Nitrogen at levels less than 2% in the shielding gas can cause porosity in single pass welds (Reference ESAB, former L-TEC/ Linde MIG Welding Handbook; ".. 2% Nitrogen produced porosity in single pass welds made in mild steel; additions of 0.5% produced porosity in multipass welds." ) Unlike Oxygen, chemically combining Nitrogen into harmless compounds is not viable with solid wire. Elements like titanium can be employed but only at low levels since significant amounts cause embitterment. Ludwig concludes in this 6 page research report: "no more than 1% Nitrogen should be allowed but preferably 0.5% ...it may be introduced from the atmosphere in proximity of the Argon shield." Air contains 78% Nitrogen; 5% contamination in the shielding gas stream due to turbulence gives 3.9% Nitrogen in the gas stream. That is sufficient to produce at least internal porosity. Be sure your getting what you pay for - SEE ARGON PURITY BELOW. 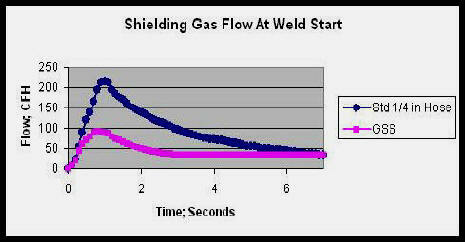 Excess gas flow rate at the weld start is bad but insufficient extra gas creates similar problems. This was stated best by Stauffer's 1982 patent. He clearly understood the problem and designed around it using a "surge storage tank"; he states in the patent teaching, "... air leaks back into the MIG gun and lines when welding is stopped. The air must be quickly purged and replaced with inert gas to produce high quality welds. Also, it is critical to displace the air at the weld zone of the work piece upon initiating the weld. " Some devices that attempt to reduce gas surge create a weld start problem. These devices set gas flow at the wire feeder such as simple orifices, regulators, flowmeters or needle valves. Welders often observe this lack of start gas needed to purge the air from the start area. They try to counter by increasing the steady state gas flow rate to achieve more gas at the weld start! But increasing the steady state flow still does not sufficiently purge the weld start area and just increases needed flow while welding, wasting gas! CLICK for More Information About Needing Extra Gas at the Weld Start? Eliminating Oxygen and Nitrogen at the weld start to reduce the possibility to weld porosity and excess weld spatter requires good shielding. 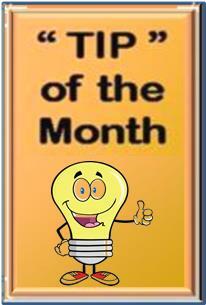 In addition to Oxygen and Nitrogen the surrounding air contains Moisture or Water Vapor. The Water Vapor can also be drawn into the arc where it will disassociate into Oxygen and Hydrogen. Moisture can enter the gas delivery hose due to what is called permeation, migration through the hose to the shielding gas. Hydrogen can cause more than porosity problems. Some amount can dissolve in the molten steel and will only come out when the weld cools. Since they are very small, Hydrogen atoms it can migrate through the steel accumulating near defects, dislocations, etc. forming Hydrogen gas. This can cause cracking. These cracks may be in the weld itself or in the adjacent parent metal called the heat affected zone. If welding aluminum, hydrogen can cause porosity since similar to steel it is readily soluble in molten aluminum but not when it solidifies. A major Industrial Gas Producer proved the Gas Saver System (GSS ) reduced moisture permeation and purchased over 200 systems! They report after two summers of using the GSS on all welders they essentially eliminated the previous significant porosity problems they had always encountered in humid summer conditions! In fact our GSS hose reduces moisture and gas permeation (diffusion of moisture and gases into the hose) by up to10 fold! Want to know how? A Welding Engineer at a major Midwest heavy construction equipment company was having porosity in the same weldment in one plant and not in another. He performed a very careful, systematic analysis of the problem. A fishbone troubleshooting diagram was developed with over 30 items considered in attempt to solve the problem. It appeared to be a nitrogen porosity problem so he looked at all the possible causes. He checked for pipeline, solenoid, feeder plumbing leaks, putting on cylinder gas supply to validate the quality of shielding gas and many others items. He even tried a different type and manufacturer of the solid wire they were using. After all this testing and elimination of differences he found one of the ma jor causes was the plant with the porosity problem was using low pressure surge reducing devices (Gas Gurad) on their wire feeders (photo right.) These controlled flow at the feeder providing insufficient extra gas to purge the MIG gun nozzle and weld start area of moisture laden air. These were removed and the problems went away! 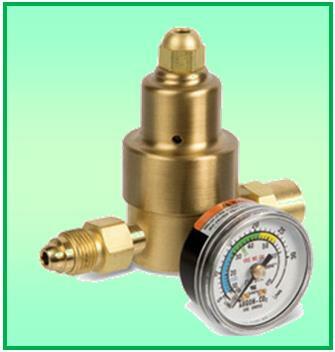 This particular regulator flow control device used low pressure to control flow. This creates a double problem! In our tests of this device we found only 9 psi was needed to flow 31 CFH. With the range of flow restrictions found in production flows varied from 16 to 37 CFH while the flow calibrated pressure gauge read a steady 31 CFH (CLICK FOR TEST RESULTS.) In addition to the lack of sufficient start gas; variability in flow was probably allowing nitrogen to enter the shielding gas stream even when welding. If shielding gas flow rate is too high or too low this can occur. BE CAREFUL SOME OF THESE DEVICES SOLD TO REDUCE SURGE DO NOT MENTION THAT THEY USE LOW PRESSURE TO CONTROL FLOW ! ALSO ANY DEVICE THAT MOUNTS DIRECTLY AT THE FEEDER WILL NOT PROVIDE SUFFICIENT EXTRA START GAS. EMAIL IF YOU HAVE A QUESTION ABOUT A SPECIFIC MODEL. See more production examples of problems encountered with low pressure devices and orifices placed at the wire feeder to control flow. There is also an explanation of why the developers of MIG and TIG understood the need for "Automatic Flow Compensation" which some have forgotten! If sufficient shielding gas is not provided at the start, welders may try to compensate by using higher overall gas flow. A bar joist manufacturer was using flow control orifices mounted at the wire feeders. 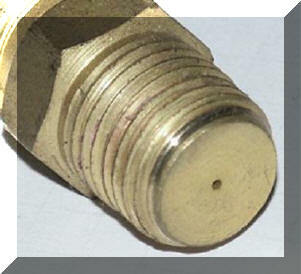 Argon/CO2 shielding gas is supplied in a pipeline through about 15 feet of gas delivery hose. The flow control orifice established the flow at 45 CFH. However the welders wanted higher flow rates with some even drilling out the orifice! The welding engineer wanted to avoid wasting shielding gas. With this flow setting arrangement where control is mounted at the feeder there is insufficient extra gas provided at the weld start. This lack of extra gas prevents to purging the weld start area of moisture laden air. A test was made to check weld performance and potential shielding gas savings using two cylinders of gas on two adjacent welders instead of their pipeline gas supply. One was set with their standard flow control orifice system and a regulator providing a pressure that matched their pipeline, 50 psi. The other with a regulator/flowmeter (also of a 50 psi design) using a 15 foot GSS without their flow control orifice. Both steady state flows were set at 45 CFH. Since welders stand side by side, it was easy to observe the weld start quality! Instantly the welder using the GSS noticed improved starting. After about an hour with observably better results the welding engineer suggested we lower the shielding gas flow on the welder with the GSS to 35 CFH! 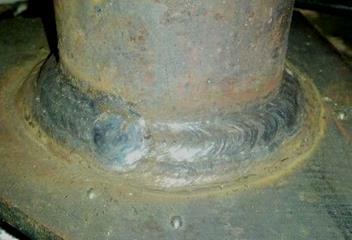 The same improved weld start quality was observed and the welder was "happy." In fact even though we lowered the steady-state flow to 35 CFH there was still about the same controlled amount of extra gas available at the start (that stored in the GSS hose when welding stopped.) The higher start gas flow rate established by the surge flow orifice in the GSS maintained the higher flow at the start. This higher start flow rate quickly flooded and purged the weld start area of moisture laden air. It was this air that was casing excess spatter and lack of shielding on all their other welders! After about 4 hours of observation it was obvious the spatter at the weld start was less with the GSS. We also measured a reduced use of shielding gas of 25%. After several months of testing to check this one system during windy days etc, this shop now has GSS's installed on all 50 welders! Bottom Line - - "Some extra gas flow at the start is very beneficial." In addition, after about a year of use their gas supplier called to see if their business had turned down since they were using about 30% less gas- it had not! Also note that any flow control device installed right at the feeder, be it an orifice flow control or a flowmeter will have the same lack of sufficient initial shielding gas to purge the weld start area. One of the major welding companies has been utilizing an oscilloscope and has documented the "Improved Arc Characteristics" at the weld start when using one of our Patented Gas Saving Systems. A review of the shielding gas flow rates in a shop with 100 welders revealed the amount of excess gas flow on each welder. A shop with ~100 MIG welders tried to reduce gas waste by installing flowmeters at the wire feeders. These were connected by a gas hose to a 50 psi shielding gas pipeline. Most of the flowmeters were model L-32 (shown at right) which is designed and calibrated for 50 psi, so the flow readings are direct and accurate. As when mounting an orifice at the wire feeder, this approach eliminates the start surge flow but there is insufficient extra gas available to purge air from the weld start area and MIG gun nozzle. It is if you're starting in air! As expected, the welders tried to compensate by increasing the steady state flow, which they really can not fully accomplish! ~50% of the welders were set at ~50 to 55 CFH. None were found lower than that flow level. ~25% of the welders were set near the top of the flowgauge, which for this model is 70 CFH. The remaining ~25% had the flow ball pinned to the top of the flow tube. In our Lab we have measured flows with this model of 150 CFH when the needle valve is fully opened and the float ball pinned to the top of the flow tube! Conclusion: As we have seen in the past, in trying to compensate for the lack of sufficient extra start gas, the welders set the steady state flow far higher than needed. Any flow over 50 to 60 CFH is just pulling air into the gas stream and is counter productive! NOTE: Any device that controls the steady state gas flow at the MIG wire feeder has the same, "lack of needed gas to purge the weld start area." Two examples are the regulators shown on the left. Although similar in appearence to the Gas Guard discussed above these both operate at above 25 psi so retain "automoatic flow compensation" built into quality gas flow control systems, since the process was introduced in the 1950's. However like a simple orifice mounted at the wire feeder that lack the needed gas to purge air from the weld start area. 1) Put the flowmeters or flow control devcie back at the pipeline and install our inexpensive patented Gas Saver System (GSS.) The limited amount of extra gas stored in the GSS hose when welding stops provides sufficient extra start gas at the weld start at a peak flow rate that avoids excess turbulence. Argon is 0.9% of air. It is generally produced by liquefying air and separating the Argon in a elaborate, expensive distillation column. However Argon can be produced at lower cost and quality levels and is referred to as "Crude Argon." Crude Argon may contain about 2% Oxygen. For most steel welding applications that may not present problems. However "Crude Argon" contains Nitrogen perhaps about 0.5% ! That is a problem. Even if the Nitrogen percentage is lower, when combined with moderately turbulent shielding Nitrogen porosity can result. The American Welding Society produces a "Specification For Welding Shielding Gases; AWS A5.32." It defines the Minimum Purity of Gases to be labeled as meeting the AWS standard. It can be obtained at www.awspubs.com That specification defines the Minimum Purity for Argon as 99.997%. That would allow no more than 0.003% Nitrogen if no Oxygen or other gases were present. It also defines the Maximum Moisture at 10.5 ppm (= 0.00105%.) There is no reason to get less- that's what you pa ying for! Ask for a Certified analysis. WARNING The AWS Document also warns that Argon and Carbon Dioxide are heavier than air and may concentrate in low areas such as the bottom of pressure vessels, tanks, pits and ships. This can result in asphyxiation and death. See our page on "Weld Safely"
Having Variations in Chary Impact Test Results? We did also. We found out why the same weldment achieved 45 ft-lbs and 7 ft-lbs in the same deposit! Want to know why? Want to Limit the Maximum Flow Rates That Can be Set? Check out our newly patented Flow Rate Limiter and Lock. It allows the maximum allowable gas flow to set and locked. It fits most Flowmeters and regulator/flowmeters without alterations. 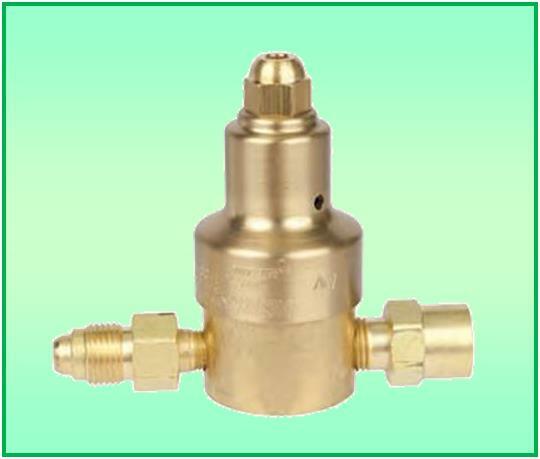 Want a way to control the maximum shielding gas flow that can be used?